I don’t remember seeing this, but it’s quite wonderful. 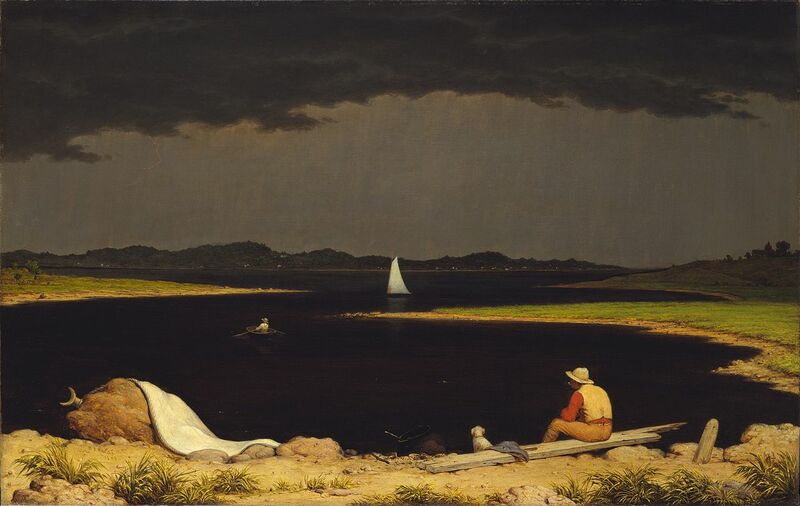 It’s one of the best evocations of a coming storm I’ve seen on canvas. Some are too dramatic, some are insufficiently detailed, but this seems just right. The rain is perfect: visible, but barely so, like a real curtain of coming rain. And look at the lightning bolt extending down from the second hanging cloud from the left. I suspect the man on the sailboat might be getting ready to shorten sail. It would be a wise thing to do. It really is a wonderful painting and, yes, I don’t think I’d want to be on the water with that thing coming at me. Marvelous! I see, I see! Thank you!